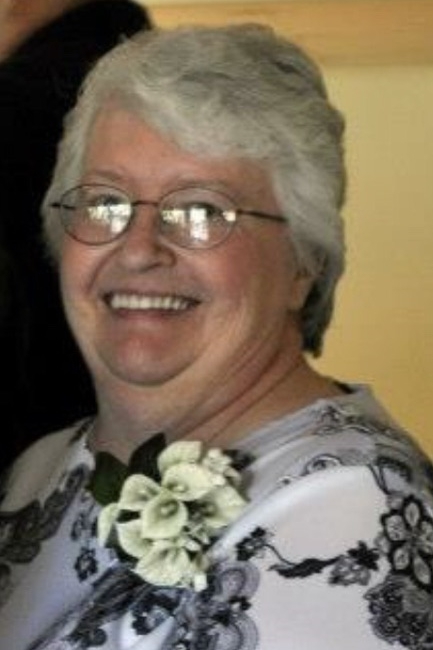 Linda D. Kolesar age 68 of Chardon, OH, formerly of Cowen passed away March 29, 2018 after a short illness. Linda was born May 3, 1949 in Bergoo and was the daughter of the late Charles Ray and Zelda Hamrick Lucky. Along with her parents she is also joined in Heaven with her brother Gary Lucky, an uncle, Eugene Hamrick, grandparents, Mamie and Hoddie Hamrick and also her companion Sam Gallogly. Linda was the officer manager at Adams-Reed Funeral Home in Cowen for 30 years. She first started working for Joe Adams in the early 1980’s and continued to work at the funeral home after the passing of Joe when John Reed purchased the business in 1995. Survivors include her son, Gary (Meredith) Kolesar, four grandchildren, a sister; Judy (Ernie) Hamrick nieces, Jennifer (Justin) Filla and Jessica (Brian) Marker, six great nieces and nephews and her puppy Khole. Service will be 1:00 PM Tuesday April 3, 2018 at Adams-Reed Funeral Home, Cowen with Pastor Keith Williams officiating. Visitation will be two hours prior to the service at the funeral home. Burial will follow at Meadowland Cemetery, Bergoo. Adams-Reed Funeral Home, Cowen, is honored to be serving the Kolesar family.